December 7, Fineko/abc.az. 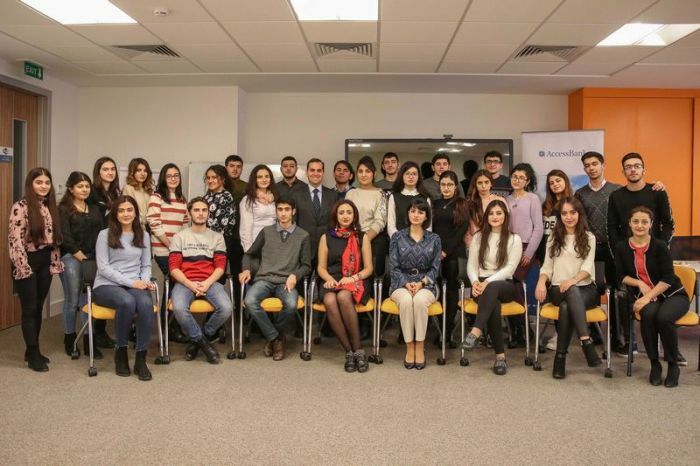 The next session of the project "UNEC Business English Conversation Club", which AccessBank implements in cooperation with UNEC, was held at the Bank's Training Center. 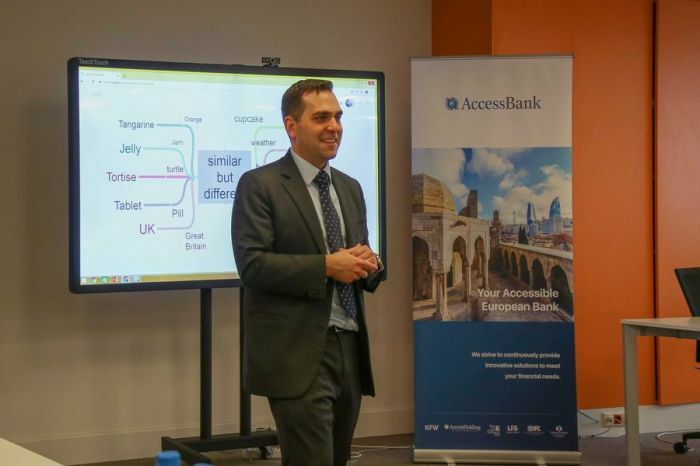 This time the guest speaker of the UNEC project was the Head of the Economic department of the US Embassy in Azerbaijan, Mr. Justin Berg. 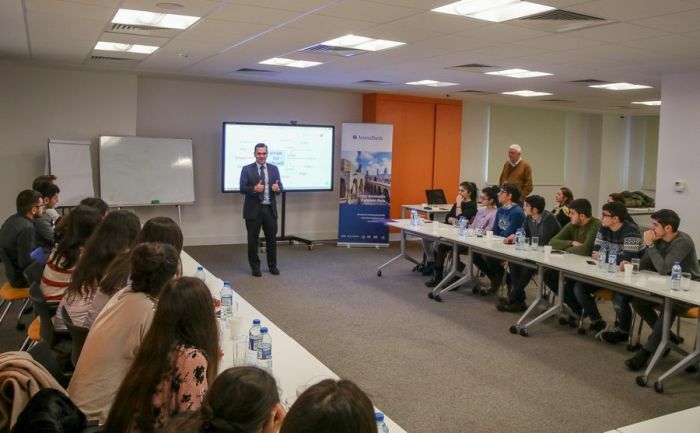 The guest speaker delivered an interesting presentation to students and told about global economic trends, the Azerbaijani-U.S. economic relationship, the specifics of American stock exchanges and other issues. According to him, the best investment by any country is building up human capital. "I believe that the UNEC Business English Conversation Club is a great example of such an investment. AccessBank is on the right track." Mr. Berg’s speech drew great interest and many comments from the participants. 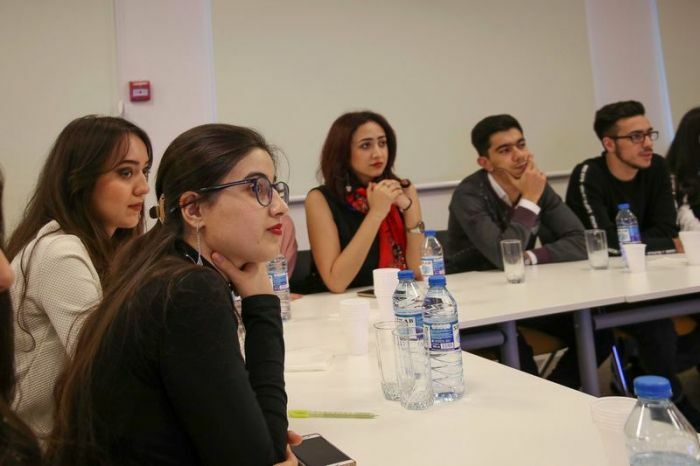 Students studying economics received answers to their questions from an experienced diplomat with extensive experience in this field. Another embassy employee - Head of the public affairs department, Michele Petersen, was the guest at a previous session.